Washington: Deadlock in Washington reached a new low Thursday as Donald Trump hit his chief Democratic opponent Nancy Pelosi with a last-minute cancellation of her plan to take an air force plane to Afghanistan — citing the four-week-old government shutdown as a motive. The mess in Washington, where swaths of government workers are not being paid while Congress feuds with the White House, already verged on the surreal. But now it’s also getting increasingly personal between the two main antagonists. The trip cancellation followed Pelosi’s suggestion that Trump postpone his January 29 State of the Union address to Congress, or do it from the White House instead. 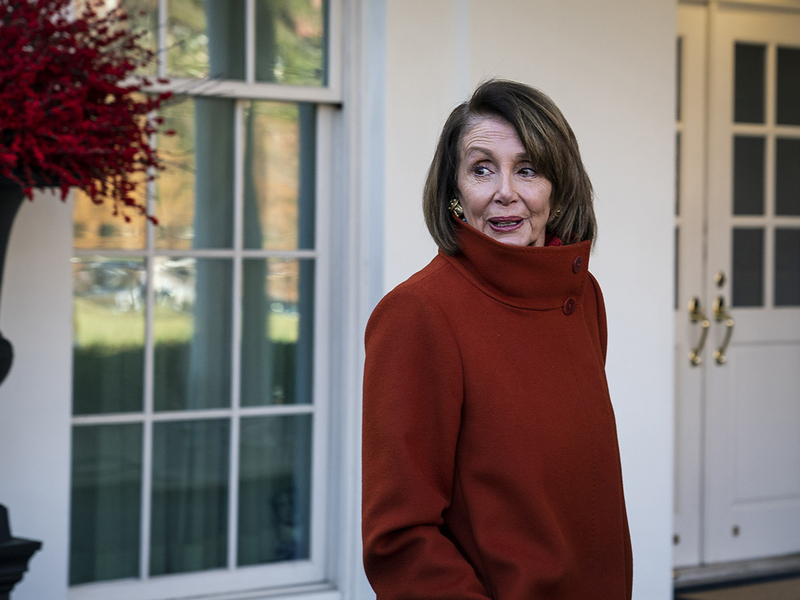 Although she cited the shutdown’s effect on security, she appeared to want to deny the president one of his chief annual moments in the limelight. Pelosi’s spokesman Drew Hammill said Trump was mischaracterizing the speaker’s trip as some kind of jaunt. He described it as a “weekend,” not a week-long trip and said there was no Egypt stop, while Brussels was necessary to allow the pilot some rest. “The purpose of the trip was to express appreciation & thanks to our men & women in uniform for their service & dedication, & to obtain critical national security & intelligence briefings from those on the front lines,” Hammill tweeted. “One sophomoric response does not deserve another,” he said. The government shutdown — affecting some 800,000 federal employees and many more government contractors — is due to Trump’s refusal to sign off on funding for a host of departments. This is in retaliation for the Democratic-led House’s refusal to approve his US-Mexico border wall project. The shutdown is leaving an increasingly deep impact across the country, where for almost a month FBI agents, museum workers, Coast Guard personnel and other officials have been either not at work or forced to work for nothing. Regular employees will get back pay eventually, while contractors will not. Critics of Trump quickly pointed out that he made a trip himself to visit troops in Iraq during the shutdown, while a White House delegation is still booked to fly on official travel to the Davos international forum next week.